Tim is a kinetic scuptor. 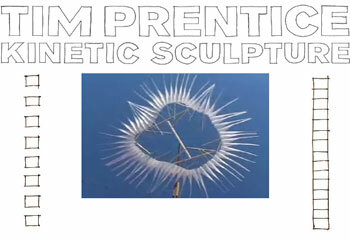 His work is based on slow movements by the wind. FLV video on the site enables the user to experience the artwork in motion. There is also a wonderful studio tour.